Reminds me of a diagram I made at work today. It had fewer nodes, but was a similar chaos of crossing lines. 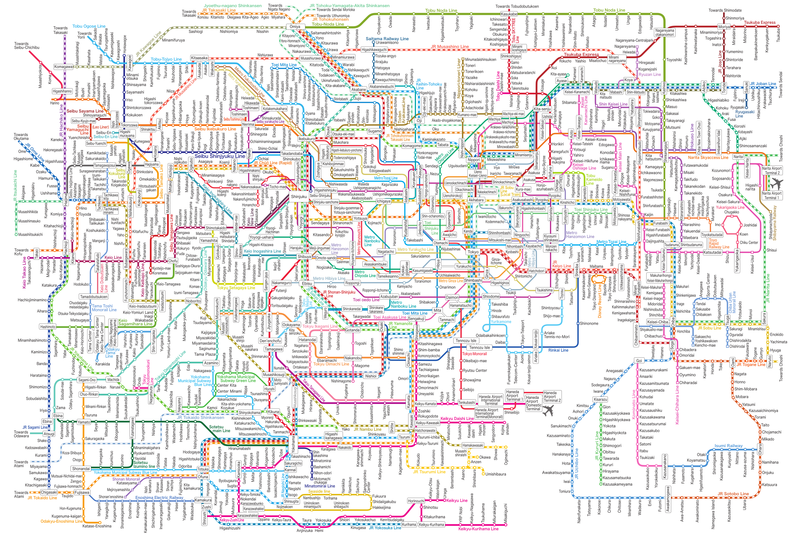 I don't think a combined map of railway lines in Scandinavia would have that many lines. Maybe if closed lines were included. Then again, the population is just half, assuming "greater Tokyo" is the same as "metro" on Wikipedia. Having to navigate quite a few time on this net, I must say the second map is mildly useful, while the first map is a complete disaster area, as location and even train directions appear completely wrong in many cases.